The Highland Park Municipal Court is the court of original jurisdiction for all class "C" misdemeanors that occur within the Town limits. The Highland Park Municipal Court is located at 4700 Drexel Drive. Court is held Tuesdays from 1:30 p.m. until 4:00 p.m. Phone Calls will not be answered while court is in session. Pursuant to Texas Penal Code 46.03, any weapon is prohibited from the Municipal Court. Other than law enforcement personnel, at no time may an individually legally carry a weapon into court. Secondly, the second floor of Highland Park Town Hall is subject to open meetings requirements, Chapter 551, Government Code. Therefore, weapons are prohibited from the second floor of Town Hall. Purses, handbags, briefcases and backpacks not permitted in the courtroom. An exception will be made for medically necessary articles, but the items are subject to inspection by court security personnel. The court accepts payment in person via cash, check, credit card, or money order. You may also pay online using a credit card with the exception of citations on which an arrest warrant has been issued. Note: Those electing to pay citations online will need to submit a Plea Form to the court. The Plea Form is available on the hyperlink below. 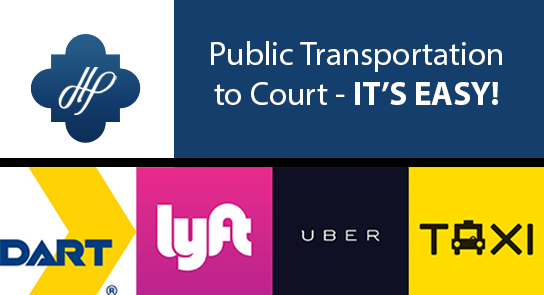 A payment plan may be requested in person at the Municipal Court office on the day prior to your court date, or from the Judge on the date of your court appearance. If an arrest warrant has already been issued, then only the Judge may grant a payment plan. What form of payment does the Municipal Court accept?